She has a little sister. She's not a people person. 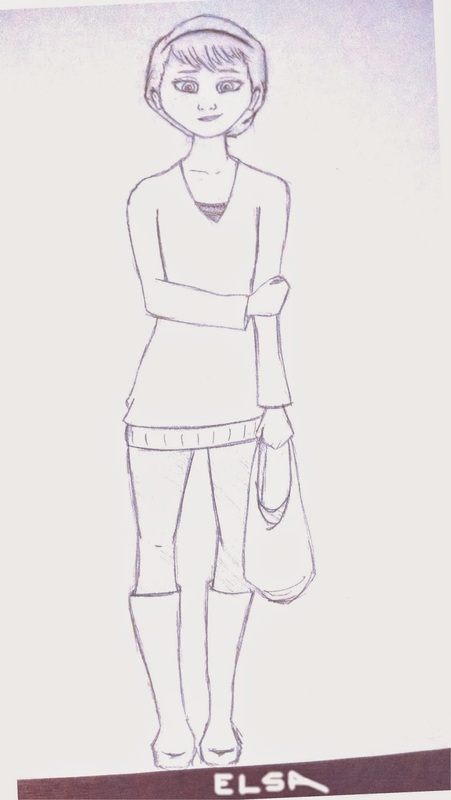 I attempted a modern day Elsa with a simple, comfortable style I imagined her character liking. I may be excommunicated from Disney-dom for saying this, but I thought she looked more like "Elsa" in her coronation outfit with her hair up. The blue dress and fluffy braid look cool, but not exactly "Elsa." Lewis from "Meet the Robinsons"
Charlotte La Bouff from "The Princess and the Frog"
Thank you! I hope you had a Happy Thanksgiving!